Fathom Events and SpectiCast are partering to present the “Art & Architecture in Cinema” series, a program that will feature seven films that highlight the world’s best art. The series, screening one film a month, will run from January through July of 2016. Tickets will be available for purchase beginning December 11. Check out scheduling and synopses of each film below. “Florence and the Uffizi Gallery” is a multi-dimensional journey of the city that was once the cradle of the Italian Renaissance. 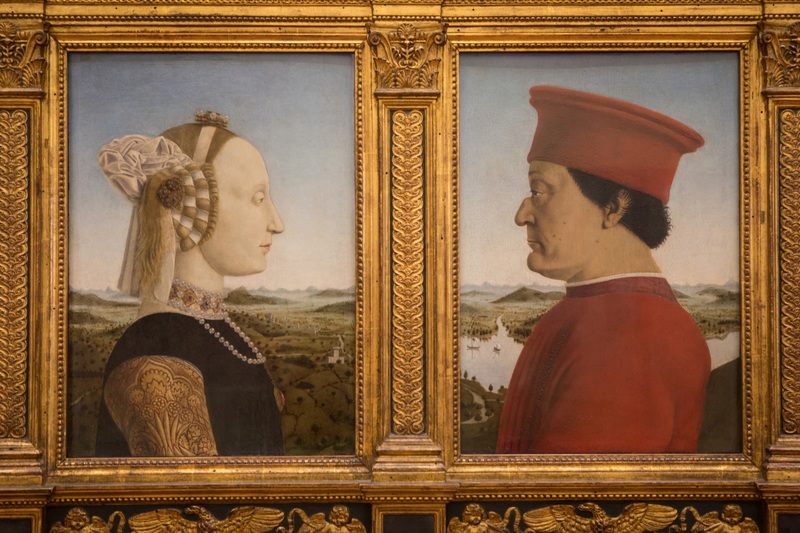 Journey through the most beautiful and representative works of art of the period from Michelangelo, Brunelleschi, Raphael, Leonardo and Botticelli, with a detailed central chapter dedicated to the very treasure house containing their masterpieces: the Uffizi Gallery. This feature includes the breathtaking “Adoration of the Magi” by Leonardo Da Vinci, which will be brought back to life in 2016, after several years of restoration, and unveiled here in an exclusive premiere on the big screen. Discover Spain’s celebrated artist with this cinematic tour de force based on the National Gallery’s must-see exhibition “Goya: The Portraits.” Francisco Goya is Spain’s most celebrated artist and considered the father of modern art. Not only a brilliant observer of everyday life and Spain’s troubled past, he is a gifted portrait painter and social commentator par excellence. Goya takes the genre of portraiture to new heights and his genius is reappraised in a landmark exhibition at The National Gallery, London. This exhibition-event is the result of six years’ work by leading Leonardo experts, Pietro Marani and M. Teresa Fiorio. It is divided into 12 sections, retracing with scientific rigor the multiple paths travelled by the mind of the genius, including: the foundation of drawing, the role of nature and science, comparison between the arts, reflection on the ancients, the utopian projects, anatomy and mechanics, the unity of knowledge, images of the divine and myths over the centuries (starting with the success of the Mona Lisa). Renoir is one of the most fiercely debated artists and yet one of the most influential. Picasso collected more Renoirs than any other artist. Matisse revered him; Monet too. He was an artist that was instrumental in creating the Impressionist movement and then totally rejected it and went in a completely new direction – with extraordinary results. “The Barnes Collection” in Philadelphia has more Renoirs than any other gallery in the world and it is there that the search begins to tell the incredible story of this remarkable artist. Monet was an avid horticulturist and arguably the most important painter of gardens in the history of art, but he was not alone. Artists like Van Gogh, Bonnard, Pissarro and Matisse all saw the garden as a powerful subject for their art. These great artists, along with many other famous names, are featured in an innovative exhibition from The Cleveland Museum of Art and The Royal Academy, London. From the exhibition walls to the beauty of artist gardens like Monet’s “Giverny,” we take a magical journey to discover how artists used the modern garden to explore radical and wonderful new ideas. This is the theatre where absolute masterpieces came to life such as “Nabucco,” “Norma” and “Othello,” and which hosted, in the fifties, Luchino Visconti’s scandalous, cutting-edge “Traviata” featuring Maria Callas. It is the place were historical mises en scènes have taken place and where extraordinary voices have been immortalized, such as those of Placido Domingo, Maria Callas, Renata Tebaldi, Mirella Freni and Luciano Pavarotti, as well as incredible performances by legendary conductors such as Arturo Toscanini, Daniel Barenboim, Riccardo Muti and Claudio Abbado. “The Papal Basilicas of Rome” is a unique feature that combines history, spirituality, architecture and art. It takes its cue from the Extraordinary Jubilee, proclaimed by Pope Francis, which will see the faithful from all over the world pour into Rome in their millions, to cross the threshold of the Papal Basilicas and obtain a plenary indulgence. The opening of the Holy Doors will be a historical moment, certain to draw the whole world’s attention to Rome’s Papal Basilicas and be the ideal opportunity to tell the story, using a narrative language that will emotionally involve audiences, as they witness the magnificence that lies inside the four Basilicas.